As research goes, the fact-finding that Eric Wilson did for his new book is about as weird as it gets. “Everyone Loves a Good Train Wreck: Why We Can’t Look Away” (Sarah Crichton Books; $22) explores morbid curiosity – from an intellectual and historical perspective, and from Wilson’s own point of view. Wilson, a Wake Forest University English professor who loves Gothic literature and horror movies, wondered why humans stare at grisly auto accidents, why we take pleasure in others’ pain, why we’re fascinated by evil. He met an Atlanta man who’s been collecting obituaries since childhood and a guy whose business involved selling art created by serial killers. And, to explore why we sometimes take pleasure in others’ misfortune, Wilson spent time on YouTube, watching funny videos of people falling down. Wilson, whose academic specialties include William Blake and filmmaker David Lynch, has made a career out of exploring the darker side of our natures. In his 2008 book, “Against Happiness: In Praise of Melancholy,” he argues that sadness gets an unfair rap in happiness-obsessed America. In this new book, Wilson argues that there’s an upside to our fascination with the morbid. But he begins and ends with the can’t-look-away event of our lifetimes – 9/11. As the book starts, it’s Sept. 11, 2001, and he’s glued to the television, unable to turn off the images, despite his wife’s prodding. As it ends, it’s 2010, and he’s visiting the Ground Zero Museum and Workshop, contemplating how rescuers’ work became an act of worship, how that place became holy ground. As he leaves, he buys a book of 9/11 photographs, returns to his hotel, opens it to a page and shows it to his wife and daughter. 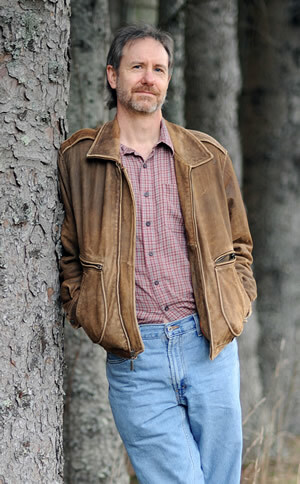 Prize-winning author Ron Rash will discuss his soon-to-be-released novel, "The Cove," at 7 p.m. Friday, March 30, as part of a Wingate University fund-raising event. Tickets for the event, at the Rolling Hills Country Club in Monroe, are $50. That includes a dinner buffet and book signing. Proceeds benefit Friends of the Ethel K. Smith Library. More information: c.inge@wingate.edu or 704-233-8091. Rash's newest novel is set in and around Mars Hill during World War I. It explores a community's prejudices as it tells the story Laurel Shelton, ostracized and lonely until a mute stranger appears near her isolated farm. "The Cove," isn't out until April 10, but it's already winning high praise, including four starred reviews -- in the Library Journal, Booklist, Kirkus Reviews and Publishers Weekly. Jane Hamilton, author of "A Map of the World," "The Book of Ruth" and "Laura Rider's Masterpiece," is this year's featured speaker at Catawba College's Brady Author's Symposium. Hamilton will speak at 11 a.m. Thursday, March 29, at the Salisbury college's Robertson College-Community Center. For tickets, call 704-637-4393. They're $20 for the lecture, $20 for a 12:15 p.m. luncheon and $10 for a writing question-and-answer session at 2 p.m.
Hamilton's first novel, "The Book of Ruth," won the PEN/Ernest Hemingway Foundation Award for best first novel. Both that novel and her second, "A Map of the World," were Oprah's Book Club selections. This has been one busy spring for author Thomas Mallon. Along with making a book tour to promote his new novel, "Watergate," he's teaching this semester at Davidson College, as the visiting McGee professor of writing. One class is fiction writing, the other creative nonfiction. That's fitting, given that Mallon's writing credentials extend to just about everything. 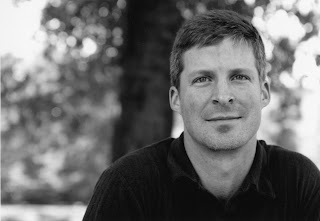 He's the author of eight novels, including "Watergate," which Sam Shapiro reviews this week on the Observer's book page. Then there's his nonfiction, which includes books on plagiarism ("Stolen Words"), diaries ("A Book of One's Own") and letters ("Yours Ever"). He's also the recipient of a National Book Critics Circle Award for reviewing, and his essays are regularly published in top magazines. Let's hope his students are suitably impressed. 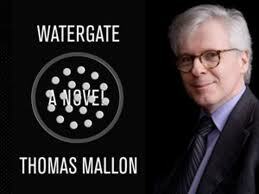 As George Washington University's Creative Writing Program director, Mallon regularly teaches undergraduates. He told me recently that his Davidson students are "very good, very prepared, lively." But in general, he finds, today's college students face some new writing challenges. When you count Tweeting, texting and other social media, they're probably out-writing previous generations of students. But in this case, Mallon finds that practice doesn't make perfect. "When you're writing all the time," he says, "you'll think of it as a casual thing, and you get sloppy." They also face new challenges as they try to develop distinctive writing voices. Now that the Internet allows anyone to publish anything, "it's sort of harder to get your voice heard above the din," he says. "Students have always been told to develop voice," but with so many voices talking at once, "it's very daunting." And then there are emoticons. Advice to Mallon's Davidson students: Don't send your professor a smiley face. "I don't believe I have ever used one," he says, "and if I manage to expire with that record intact, I think I'll be happy." Wake Forest University launches a three-day celebration of writers and writing this week, as more than 40 novelists, biographers, poets, screenwriters, journalists and others -- all Wake Forest alumni -- return to campus for Words Awake! Workshops, panels and readings will be held Friday through Sunday (March 23-25) in Wake's Benson University Center. They're free and public, but registration is encouraged. Topics include "writing sports," "writing business," "writing biography/memoir" and "writing/editing careers." Like many readers, I discovered Judith Viorst through her wonderful children's book, "Alexander and the Terrible, Horrible, No Good, Very Bad Day." 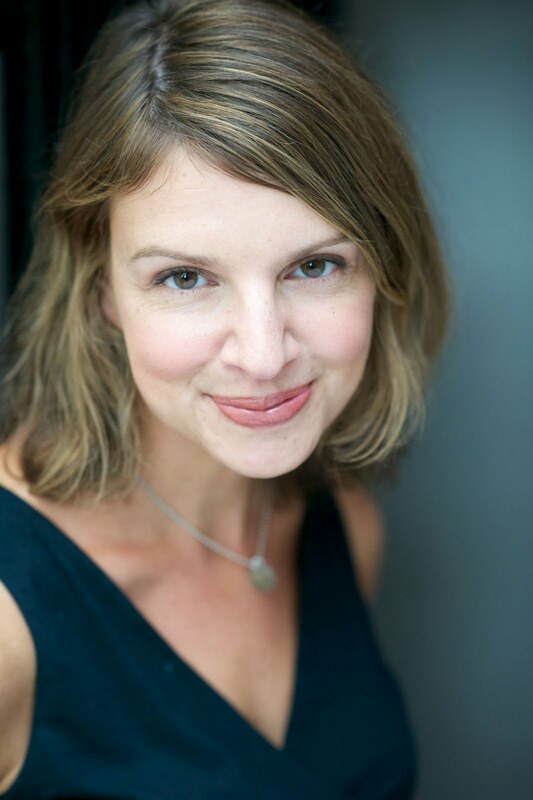 But Viorst, who speaks in Charlotte Thursday, is also known for poetry, adult novels and nonfiction, including the bestselling "Necessary Losses: The Loves, Illusions, Dependencies, and Impossible Expectations That All of Us Have to Give Up in Order to Grow." The Jewish Federation of Greater Charlotte's Women's Division hosts Viorst at its annual spring lecture at 8 p.m. Thursday, March 22, in the Main Hall of Temple Beth El, 5101 Providence Road. Tickets are $40 for the lecture plus dinner, which starts at 6:15 p.m., and $18 for the lecture only. This Jewish Federation fundraising event also requires a minimum $50 pledge to the 2012 Annual Campaign. For tickets, call 704-944-6757 or go to www.jewishcharlotte.org. In her debut short story collection, “Birds of a Lesser Paradise,” Megan Mayhew Bergman includes an African gray parrot in her first story and a self-mutilating Rottweiler in her second. In tales that follow, you’ll find, among other creatures, a lemur, a wolf hybrid and two sheep named Proctor and Gamble. Bergman didn’t set out to populate her stories with animals, but once you know her back story, it all makes sense. She grew up in Rocky Mount and graduated from Wake Forest University, where she met her husband, the son of two Vermont veterinarians. He went on to N.C. State and also became a veterinarian. She now lives on 13 acres in rural Vermont, with her family, four dogs and four cats. “Any time I would sit around the dinner table, it was all vet talk, all the time,” she told me recently. “At first, it used to make my stomach turn when they’d talk about what they found in the belly of a Lab,” she said, but over time, she evolved from squeamish to intrigued. She found herself encountering animal stories – and inspiration – wherever she turned. “Every Vein Has a Tooth,” for instance, features an animal activist who collects strays the way her mother once collected porcelain Christmas villages. No surprise that her acquisitions, which eventually include two sheep rescued from a filthy house, are ruining her relationship with her lover. The inspiration for that story was an actual case of sheep neglect outside Raleigh. The African gray parrot in “Housewifely Arts,” the collection’s stunning opening story, was inspired by a parrot that had belonged to her in-laws. The parrot also talks with her late mother’s voice. And that’s why she’s making this pilgrimage: She wants to hear that voice one final time. Like “Housewifely Arts,” which was included in “Best American Short Stories of 2011,” this entire collection (Scribner; $24) revolves around the conflicting loyalties women often face. Anthony Abbott, a novelist, poet and retired Davidson College English professor, is this year's winner of the the Rose Post Creative Nonfiction Competition. Sponsored by the North Carolina Writers' Network, the Rose Post competition encourages nonfiction outside the realm of traditional journalism. Abbott won for his essay "The White Dress," about a visit to Emily Dickinson's house. "The writer's passion for this event was palpable," wrote author Anne Clinard Barnhill, who judged the contest. She praised the work for "the carefulness of the language used in this piece, the reverence for the subject -- a visit to Emily Dickinson's house -- and the poetic descriptions." Second place winner in this year's contest was Terri Sherrill of Hillsborough for her essay "For the Love of Loggerheads." Jeanette Cabanis-Brewin of Cullowhee won third place for "White Lobelia: An Open Letter to My Neighbor." First-, second- and third-place entries receive $300, $200 and $100, respectively. 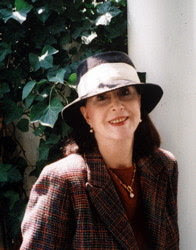 Abbott's essay will be considered for publication in the magazine "Southern Cultures." 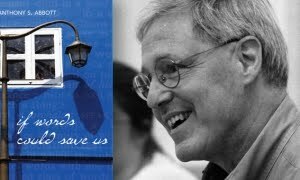 Abbott's latest book is the 2011 poetry collection "If Words Could Save Us." 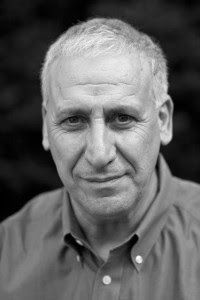 Edward Hirsch, award-winning poet, literary critic, MacArthur Fellow and president of the Guggenheim Memorial Foundation, will lecture on "Reading Poetry, Poetry Reading," at 8 p.m. Tuesday, March 13, in Davidson College's Duke Family Performance Hall. Hirsch's presentation will focus on the nature of reading poetry -- how it works and the intimacy it establishes through language. These are ideas he discusses in his 2000 book, "How to Read a Poem and Fall in Love with Poetry." Davidson English Department Chairman Zoran Kuzmanovich, who uses the book whenever he teaches poetry, says it's always a hit with students. Hirsch believes poetry "is not just of the mind, but of the body," Kuzmanovich says. "The words the poetry delivers make you feel what this person may have felt." And Hirsch is skilled, Kuzmanovich says, at explaining "why a poem makes you feel the way it makes you feel." The lecture is free, but tickets are required. To reserve tickets, call the college box office, 704-894-2135. They'll be available for pick up before the event at a table outside the Duke Family Performance Hall. They can also be picked up between 10 a.m. and 4 p.m. in the Knobloch Campus Center box office. GS20205, you've won a copy of "Here Come the Girl Scouts." Send me an email with your mailing address, and I'll get the book to you. Last week, I asked readers to tell me why they deserved this new picture book by Shana Corey, who grew up in Charlotte. Wow, did I get great responses. Some older readers told me about their decades-ago adventures as Girl Scouts. Girl Scouts told me about devoted moms who put in countless hours as cookie sellers and troop leaders. Troop leaders described how much they enjoyed working with scouts. And I heard from moms justifiably proud of daughters who've excelled as Girl Scouts. Choosing a single winner was hard. I wish I had free books for everyone. Finally, though, I picked a mom who signs herself "GS20205." She told me that along with selling more than 9,000 boxes of cookies, her daughter has volunteered her time with disabled kids for more than three years. "She would love to share this book with her special needs fellow Girl Scout!!!" she wrote. I have to think that Girl Scouts founder Juliette Gordon Low would like that. James Tabor, chair of UNC Charlotte's Religious Studies Department, will talk and sign copies of his new book, "The Jesus Discovery," at 7 p.m. tonight, March 6, at Barnes & Noble at Carolina Place Mall, 11055 Carolina Place Blvd. in Pineville. The new book, co-written with Simcha Jacobovici, recounts how the authors, along with other experts, used a robotic camera in 2010 to explore a previously unexcavated tomb in Jerusalem. In it, they found several ossuaries, or bone boxes. Two were carved with an iconic image and Greek inscription. Taken together they believe the image and inscription constitute the earliest archaeological evidence of faith in Jesus' resurrection. Read more about the book, the discovery and the controversy surrounding it in my colleague Michael Gordon's story. Watts, an English professor at Pennsylvania’s Lehigh University, is one of two finalists for the 2012 prize, considered the nation’s most important award for a first work of fiction. Teju Cole, author of “Open City,” is this year’s winner. 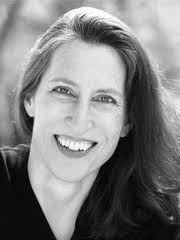 Amy Waldman, author of “The Submission,” is also a finalist. Watts, who grew up in Lenoir and Wilkesboro, graduated from UNCC with an English degree in 1997. 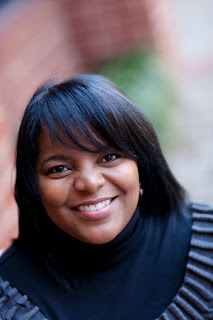 With her husband, Bob Watts, she wrote a community column for the Charlotte Observer in 1996-97. She will read from her collection at 7 p.m. Friday, March 9,at Park Road Books, 4139 Park Road. In “We Are Taking Only What We Need” ($15.95; BkMk Press), Watts’ characters are young black women living in North Carolina. For the book’s Pushcart Prize-winning story, “Unassigned Territory,” Watts draws from personal experience as a former Jehovah’s Witness. In the story, the narrator, a young black woman, is proselytizing door to door on a hot day in rural North Carolina. As a former Jehovah’s Witness, Watts has written a lot about “losing faith and what that feels like and trying to figure out how to reconstitute yourself once you’ve lost faith,” she said in a telephone interview Monday. Watts, who holds a PhD from the University of Missouri, is now working on a novel. And she has lots of promising life experiences to draw from. She also once worked at a Hickory shoestring factory, where she boxed packages as they traveled down a conveyer belt. The late Mary Hemingway founded the award in 1976 to honor the memory of her husband, Ernest Hemingway, and to recognize distinguished first books of fiction. Shana Corey, a children’s book author who grew up in Charlotte, has a knack for transforming stories of strong women into fascinating picture books. So when she learned that the Girl Scouts’ 100th anniversary was approaching, she saw the perfect opportunity for a book about the group’s founder, Juliette Gordon Low. The result, “Here Come the Girl Scouts! The Amazing All-true Story of Juliette “Daisy” Gordon Low and Her Great Adventure,” offers a rich portrait of Low and the Girl Scouts organization, which turns 100 this month. Want to win a copy? Leave a comment here and tell me why you deserve to win. I’ll announce the winner Wednesday, March 7. Corey, 38, lives in New York but grew up in Charlotte, where she attended Irwin Avenue Elementary, Piedmont IB Middle School and West Charlotte High. She credits her teachers with igniting her love of reading and writing. Corey was never a Girl Scout herself, but she grew up hearing about the organization from her mom, an enthusiastic former Scout who still had her badge sash. She began this project expecting that Girl Scouts in 1912 spent lots of time sitting around in parlors. She found instead that they played basketball, camped and hiked right from the start. “I was blown away,” she says. She also discovered that Low was an amazing character. Known as “Daisy,” Low grew up in Savannah. She lost most of her hearing by the time she was an adult, but that didn’t stop her from traveling the world and founding the Girl Scouts at age 51. Low opened the Girls Scouts to all classes and races. She organized troops in orphanages and factories, in churches and synagogues. The organization also embraced the environmental conservation movement, just as it was beginning to take hold in America. Corey, who confesses she’s “kind of a nut for research,” found lots of wonderful tidbits in a copy of the first Girl Scout handbook, published in 1913. 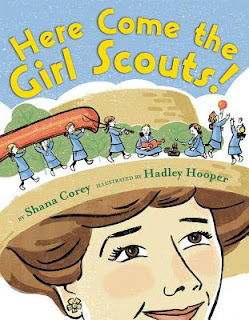 Thanks to that handbook, we learn that early Girl Scouts were versed in handy skills such as curing hams, stopping a runaway horse and securing a burglar with eight inches of cord. “Here Come the Girl Scouts!” (Scholastic; $17.99), is illustrated by Hadley Hooper, who weaves advice and wisdom from that first Girl Scout handbook into her pictures. Juliette Gordon Low once snuck out of a fancy dinner party to go fishing with her friend Rudyard Kipling. The cookie sale started in the 1930s. Today, there are more than 3.2 million Girl Scouts in more than 90 countries. Former Girl Scouts include activist Gloria Steinem, Secretary of State Hillary Clinton, poet Rita Dove and journalist Lisa Ling. The Juliette Gordon Low Birthplace in Savannah is open for tours: juliettegordonlowbirthplace.org. Find out about Charlotte-area Girl Scout opportunities at hngirlscouts.org.